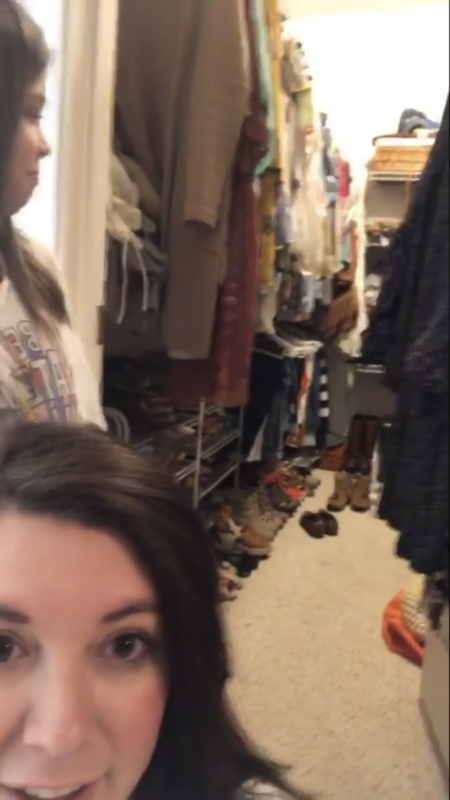 If you follow me on Instagram and watched any of my stories from the weekend, then you already know that my closet went through a major transformation over the weekend! 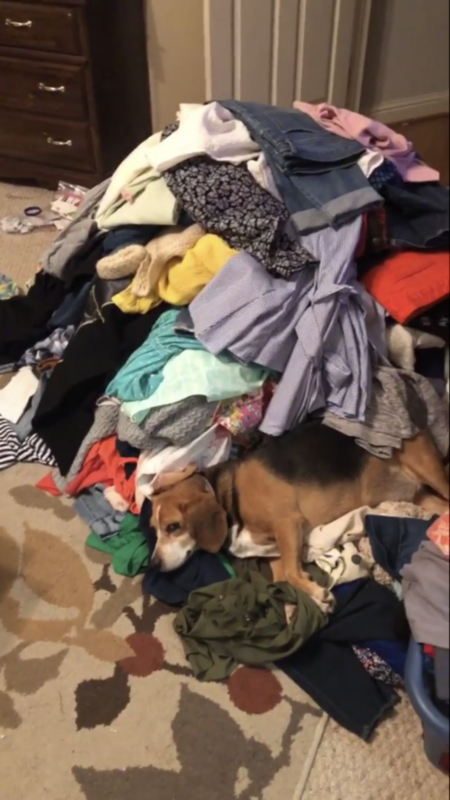 Inspired by Marie Kondo of Tidying, I did what was loooooong overdue, and decided to clean out my closet for REAL. Now don’t get me wrong, a few times every season, I pick out items that don’t fit ot haven’t worked out, and either donate them or sell them, and consider my closet “cleaned out.” Girrrrrl, that is NOT what happened this weekend!! 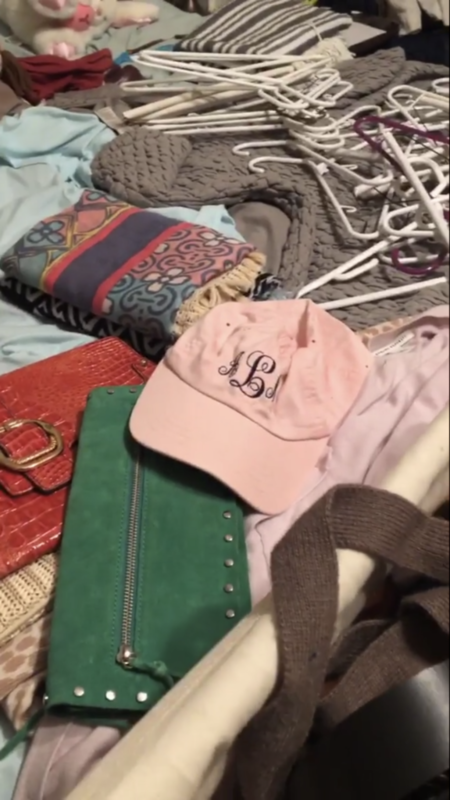 So, if you’re not familiar with Marie Kondo (have you been living under a rock?? ), she is a Japanese professional organizer that comes into spaces and declutters them and “sparks joy” in the homes that she’s in. 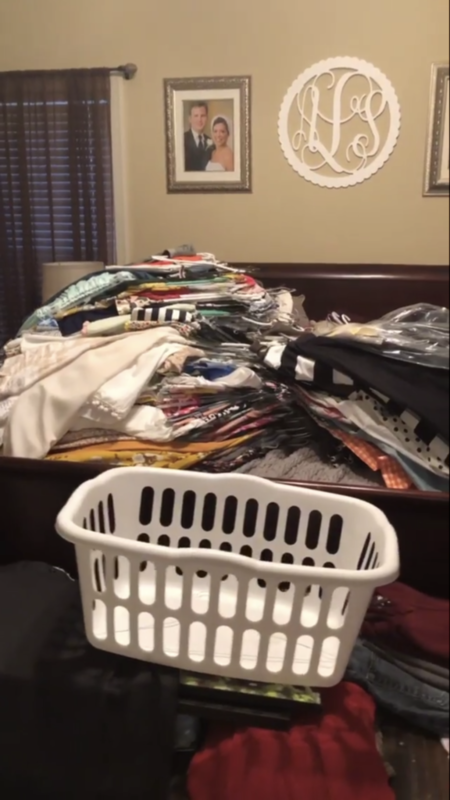 She has a pretty strict system of how to organize and declutter, called the Kon-Mari method, and in some homes it can take 6 months to complete the process! The first step in each project is to tackle the CLOTHES. Now, I’m not planning on going full-out Kon-Mari on our whole house, but I knew I wanted to really address my over-stuffed closet. The first step was to empty out the whole closet and pile ALL the clothes all in one place. This first (and now I realize, essential) step is what had held me up for this long! I knew it was going to be a big pile, and take a LONG time, and it was, and it did! Scott was out of town over the weekend, and I was able to get all the mess out without everything getting in his way in our bedroom. I got through about half the pile on the bed the first night, and then got through the rest of it the second night. I divided everything up- a pile of things I was keeping, a pile I was selling, and a pile I was donating. Deciding what was going and staying was the hardest part! But I was pretty tough- if I hadn’t worn it in over a year, it was out. If it didn’t fit, it was out (except for some sentimental pieces). If there was a hole or a stain, it was out. 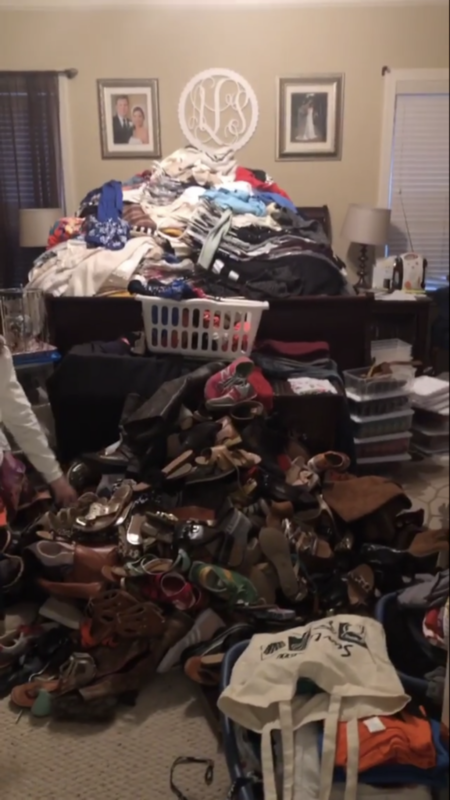 And Y’ALL… I had SIX TRASHBAGS FULL of clothes that I am donating, and FOUR bags of clothes I’m selling. 10 FULL-SIZE TRASHBAGS of clothes and shoes out of my closet!!! The weight lifted off my shoulders and out of that closet is incredible. And OMG, my closet is SO CLEAN! It’s so straight and looks so nice and organized. I kept a few things that don’t fit just in case they do later, and some sentimental items that I just don’t want to part with! It was hard, it took a lot of time, but WHOA I wish I had done this SO LONG AGO! So after my experience, I have a few things to share if you were to happen to want to try this yourself! 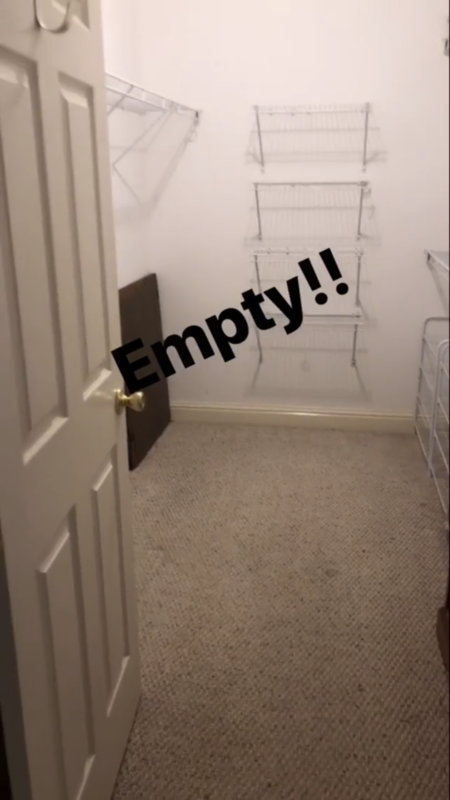 You MUST empty out the closet! Don’t think you can pick a few things out here and there like I used to do, and really clean out your closet. I think the KEY to making this work is emptying out the closet and then touching every single item and deciding whether or not it is going back in. Don’t skip this step!! 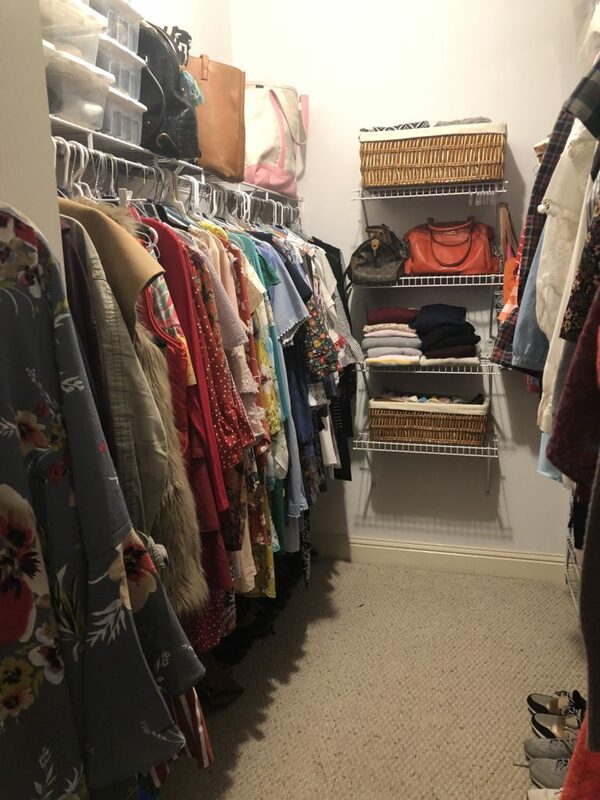 I did not thank each and every item for its service as Marie suggests, but I did touch every item and really thought long and hard if it was something I wanted back in my closet! 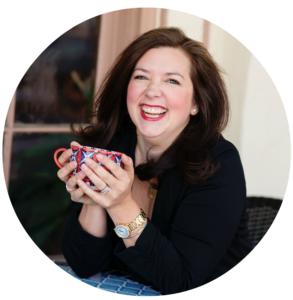 Did it spark joy (I really did think about this, though almost all my clothes spark joy, ha!)? 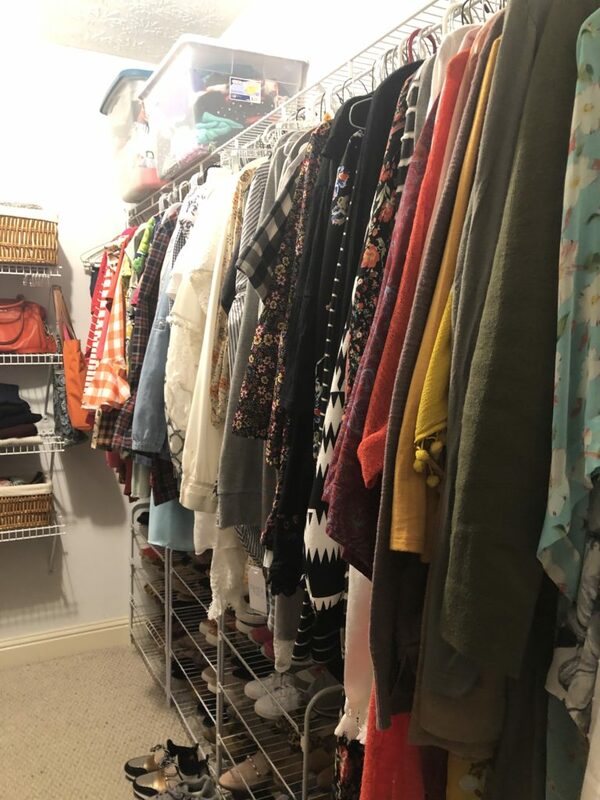 And then once I started adding garments back in, I was very intentional on how it was organized, where they were going, and I felt like I was much pickier with that closet real estate! It took me three evenings, 2-3 hours each, to complete the closet clean-out. It might not take you quite as long, but I don’t think this is a quick project, and it’s not meant to be! Really take the time, and let the mess get really bad before it gets better. My bedroom looked like a LEGIT episode of hoarders before it got cleaned up and organized and put back into place. But now it’s never looked better! But I took the time, and it was worth it. Bonus points if your husband and/or kids are out of the house while you dig in! Technically, if it doesn’t fit or you haven’t worn it in a year, you’re supposed to get rid of it. But there’s a few beautiful items I’ve recently bought that don’t currently fit, and some special pieces (I’m super sentimental about clothing!) that I just couldn’t part with. 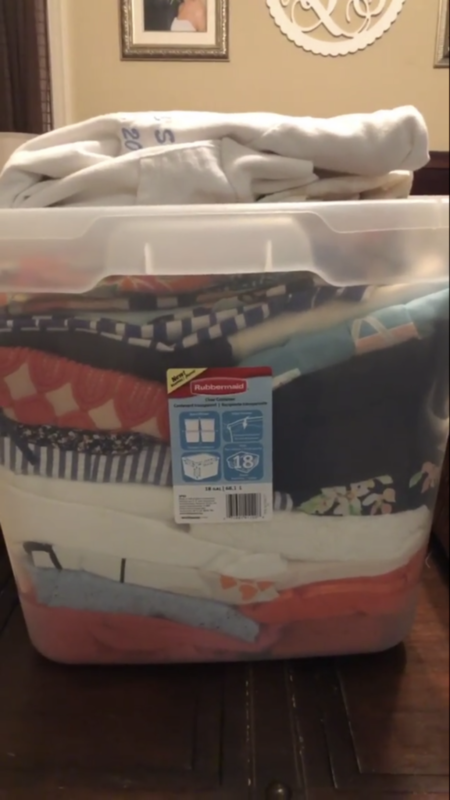 I got mixed opinions when I asked folks on Instagram what to do, but a few friends had great suggestions, which were to keep the items, but put them in a Rubbermaid bin instead of hanging them in the closet. And be very picky with those items since they are taking up space, and that you’re sure they’re either things you know you’ll want to wear again or things you know you want to keep. 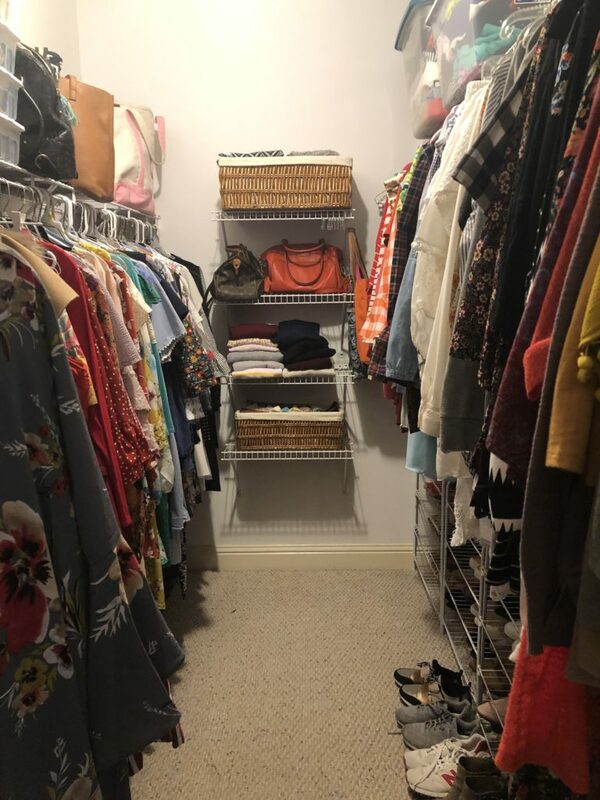 Now that it’s been a few days, my closet is still totally clean and I am obsessed with the lack of JUNK that had filled it up before. And I was telling a friend earlier that I haven’t passed a room or closet in the house that I don’t think, “man, I could really straighten that up!” I am obsessed with the idea of gutting each and every room and cleaning out all the clutter. It’s addictive! Bad thing is, I really want to replicate the experience of the closet clean out, and know I have to empty it out the room first, which takes time. Time that I don’t have to just throw around all the time for the sake of reducing clutter. BUT… I did clean out the spice cabinet tonight while I was cooking dinner! I emptied the entire cabinet and threw out old items and put all the items back we needed to keep. It didn’t take much time, being a small project, and progress was made! So I’m going to try to complete small projects during the week and bigger projects as I’m able. 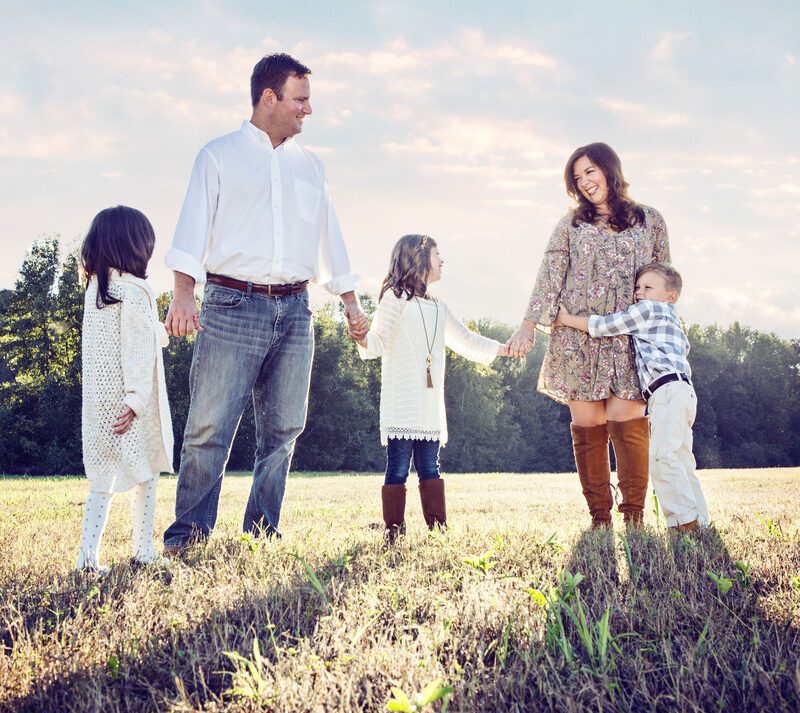 But overall, I am thrilled with the results, and surprised I enjoyed the process as much as I did! Have you been inspired to tidy up and declutter by Marie Kondo? Or are you crouched down in the Goodwill parking lot waiting for all the good stuff to come pouring in thanks to folks like me? ?